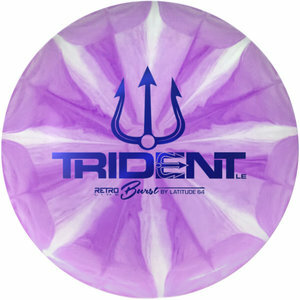 Trident is an overstable control driver good for windy days and those safe hyzer shots. Its not the fastest driver out there but with excellent control and a reliable flightpath this is a disc that will earn a slot in many bags. With a good power drive it will turn at first but always hyzer back, reliable and controllable to sum it up. Recommended for advanced players.